– Theodore meets his new virtual assistant, whom he later falls in love with (Jonze, Her). Virtual AI assistants have always been a popular theme in science fiction. HAL 9000 (Kubrick, 2001: A Space Odyssey) for example, or KITT (Larson, Knight Rider). Currently, many companies feel that such virtual assistants don’t have to stay something belonging to science fiction, but can be realized with today’s technologies. This is not necessarily a new development, as one might also consider Microsoft Word’s annoying paperclip Clippit as one of the earlier attempts at providing a virtual assistant. Apple’s Siri and Google’s Google Now services have also been around for some years already. But where the earlier versions of these services could perhaps be considered as some advanced form of voice control, as tools or extra features not central to a user experience, the development of virtual assistants has not been standing still. This year, several interesting new virtual assistance services have been announced or released by most of the major players in the field (Amazon’s Echo, Google’s Now on Tap, Windows 10 with built-in Cortana, Siri integrated in AppleTV). But the most interesting announcement of all came from Facebook, who are releasing a virtual assistant of their own. 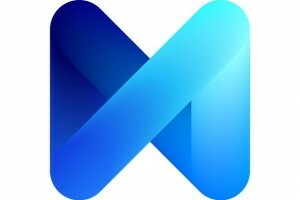 Facebook’s virtual assistant goes by the name of M. Unlike Siri, Cortana, Echo and many others, M does not have a voice, nor can you talk to it. It exist as a contact within Facebook Messenger. But this is not the only difference, what makes M unique as a virtual assistant is the wide variety of tasks M can perform for you. You can ask M to buy you a present for someone, for example. Or you can make M find you a suitable thing to do on a first date. These kinds of things have been impossible with other virtual assistance services so far, and this is why M can be considered as a next step in the development of virtual assistants (Williams). As virtual assistants become more capable and more widely used (Callaham), it is one task in particular they seem to take over from humans: search. This gives rise to some issues that need to be critically examined. First, we need to look at some possible reasons for Facebook to launch M. Then, some further issues with virtual assistants as means to navigate the web. So why would Facebook put any resources into an ‘advanced chatbot’? Gilles Deleuze aptly described todays society as a society of control (4). As a postindustrial society we no longer focus on production but on services, on selling things (6). In order to sell things we need to know who people are and what they want. People become dividuals, consisting of both themselves and their digital identities made up of all data gathered about them (5). Facebook already owns one of the richest supplies of data doubles using peoples likes and profiles. For this data to become even more accurate, giving people a means to search the web by expressing their needs can be a next step. These search queries form a rich “database of intentions” (Battelle). Facebook could just add a “normal” search bar like Google’s. But there seems to be a general move towards handing over more agency to machines. This involves on the one hand the need to connect more and more objects to the internet (an “Internet of Things” (Ashton)), like cars, refrigerators and passports. But it also involves making the internet more machine-readable, a semantic web. As machines become more capable of understanding the web’s content like humans do, virtual assistants are becoming a more viable alternative to search bars. If registers and indexes were the search method of web 1.0 and search bars and result lists of web 2.0, then virtual assistants may be the means of search for web 3.0. This might become a big problem for Google, who’s main source of income is Adwords (Kaplan). This technique has no clear place in a type of search where your query has only one directly given answer, not a list of results with clickable ads. Also the type of query is different (natural language instead of keywords). It will require a different approach marketing-wise (Pure Digital). But this change in the way we search the web should not only raise concerns with big companies like Google. Searching the web with search engines using PageRank or similar ranking algorithms has already been criticized for it’s supposed bias and lack of quality checking. “The problem of the Internet, according to Weizenbaum, is that it invites us to see it as a Delphic oracle. The Internet will provide the answer to all our questions and problems. But the Internet is not a vending machine in which you throw a coin and then get what you want.” (Lovink, 3). Now with virtual assistants like Facebook’s M, we do not even get a list of results. We get a single magic answer, with no need for further browsing. If virtual assistants are indeed becoming our main way of searching the web, this development should be analyzed very critically. Ashton, Kevin. “That ‘Internet of Things’ Thing.” RFID Journal. 2009. 10-09-2015. <http://www.rfidjournal.com/articles/view?4986>. Battelle, John. The Search: How Google and Its Rivals Rewrote the Rules of Business and Transformed Our Culture. New York: Penguin Group, 2005. Callaham, John. “Google study: over half of teenagers use voice search daily.” Android Central. 2014. 10-09-2015. <http://www.androidcentral.com/google-study-over-half-teenagers-use-voice-search-daily>. Deleuze, Gilles. “Postscript on the Societies of Control.” October 59 (1992): 3-7. Kaplan, Dan. “Facebook’s Messenger And The Challenge To Google’s Search Dominance.” Techcrunch. 2015. 10-09-2015. <http://social.techcrunch.com/2015/09/07/facebooks-messenger-and-the-challenge-to-googles-search-dominance/>. Lovink, Geert. “The Society of the Query and the Googlization of Our Lives: A Tribute to Joseph Weizenbaum.” Eurozine (2008). <http://www.eurozine.com/articles/2008-09-05-lovink-en.html>. Pure Digital team. “How Voice Command Will Change Search Engine Marketing.” Pure Digital. Pure Digital LLC. 2015. 10-09-2015. <http://www.puredigitalco.com/how-voice-command-will-change-search-engine-marketing/>. Williams, Owen. “Here’s what it’s like to use Facebook’s virtual assistant, ‘M’.” The Next Web. 2015. 11-09-2015. <http://thenextweb.com/facebook/2015/08/30/heres-what-its-like-to-use-facebooks-virtual-assistant-m/>. 2001: A Space Odyssey. Dir. Stanley Kubrick. Perfs. Keir Dullea, Gary Lockwood. Metro-Goldwyn-Mayer, 1968. Her. Dir. Spike Jonze. Perfs. Joaquin Phoenix, Amy Adams, Scarlett Johansson. Warner Bros. Pictures, 2013. Larson, Glen & Robert Foster (Producers). (1982-1986). Knight Rider [Television series].Philadelphia: NBC Universal Television.